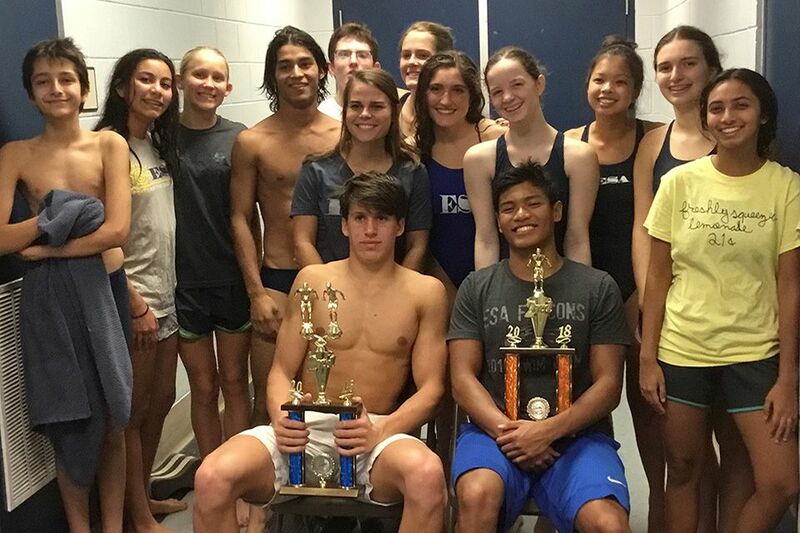 ESA Swimming placed second overall in District competition this week. The boys' team placed second and the girls third. ESA's All-District swimmers are Michael dela Rosa, Ryan Rhoades, Izzy Sabbagghian, Elena Alvarado, and Regan Manning. At the Top 24 meet on Saturday, Ryan Rhoades, '20, set a new school record of 1:01:27 in the 100m breaststroke. On to State on November 14th-15th!